Blood, mainiy composed of the nutrient qi and body fluid, circulates inside the vessels. It is red in color and sticky in texture. Blood functions to nourish and moisten the body. It is vital to the maintenance of life. The basic substance for producing blood is essence, including the congenital essence (kidney-essence) and the acquired essence (food nutrients). The congenital essence is prerequisite to the production of blood. 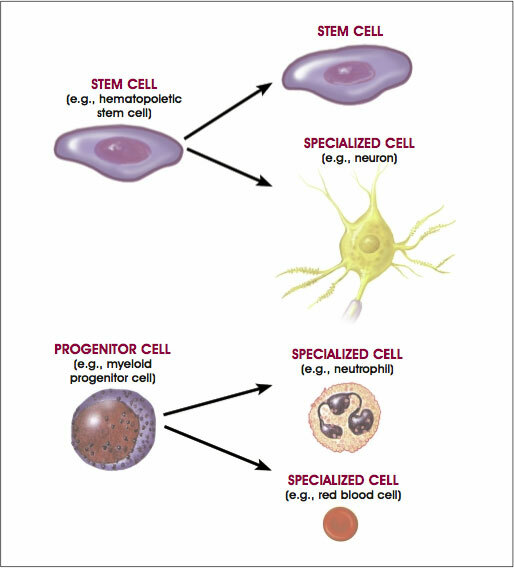 Only when the acquired essence has combined with the congenital essence can blood be produced. Thus deficiency of kidney-essence will make it difficult to produce blood. However, the congenital essence is already fixed after birth. In this case the acquired essence plays a key role in the production of blood. For this reason the functions of the spleen and stomach are key to the production of blood. If the spleen and the stomach are normal in functions, they can absorb sufficient food nutrients to produce blood. If the spleen and stomach are weak in absorbing food nutrients, the production of blood is inevitably reduced. The transformation of the essence into blood is in fact a process of qi-transformation. The organs involved in such a process are the heart and the lung. The function of the heart in the process of blood production is called "reddening", because the heart pertains to fire in the five elements and red in the five colors. With the action of heart-fire blood becomes red. The lung participates in the production of the nutrient qi by inhaling fresh air from the outside. The nutrient qi is an important component of blood. So the functions of the lung directly influence the production of blood. Besides, the liver regulates qi activity and influences qi-transformation in the whole body with its dredging and dispersing functions, also exerting certain effect on the production of blood. The physiological functions of blood are to nourish and moisten the body as described in Nanjing. Since blood contains the nutrient qi, it can nourish all the organs in the body. Through the meridians, blood transports nutrient substances to all parts of the body to nourish the five zang-organs, the six fu-organs, the five constituents, the five sensory organs and the nine orifices. It should be noted that blood is also the important material base for mental activities. If blood is sufficient, there will be sufficient vitality; if blood is deficient, there will be dispiritedness; if blood is in disturbance, there will be mental disorder. Since blood contains fluid, it can moisten the viscera and the body. When the fluid flows out of the vessels, it moistens the orifices and lubricate the joints. Besides, blood also transports the turbid qi. When the turbid qi is transported to the lung, it is excreted from respiration. When it is transported to the kidney, it is discharged from urination. When it is transported to the superficies, it is excreted from sweating. The vessels in the whole body form a relatively close circulatory system for blood circulation. Such a system is known as blood vessels in TCM (Traditional Chinese Medicine) included in the concept of meridians and vessels. The minute capillaries are called blood collaterals. Blood is propelled by the heart to circulate in the vessels. In fact the heart is the center of the blood circulatory system. 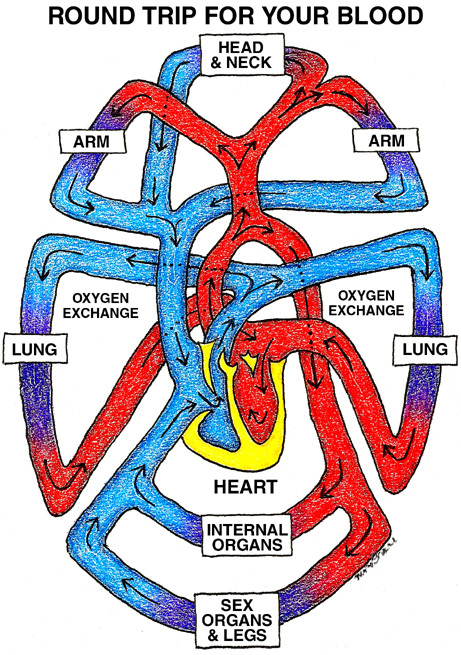 In structure, the heart is connected with the vessels. That is why the heart can propel blood to circulate in the vessels. Since the circulation of blood is a circulatory process, the directions of blood circulation is either centrifugal or axopetal. The former means that the blood is propelled by heart-qi to flow out from the heart to the whole body through large vessels into large collaterals and fine capillaries. In such a way blood enters the internal organs to nourish and moisten the body. The latter means that blood accumulates from the fine capillaries to the large collaterals and the vessels into the heart under the propelling action of the heart. Apart from the heart, other internal organs are also involved in the circulation of blood, including the lung, the spleen and the liver. Structurally the lung is connected with all the vessels in the body, known as "the lung facing all the vessels". With the association with the vessels, the lung distributes nutrient substances, like the pectoral qi, to the whole body and accumulates qi and blood from the whole body to assist the heart to propel blood circulation. The spleen commands blood, making the vessels compact, directing blood to circulate normally in the vessels and preventing it from flowing out of the vessels. The liver stores blood and regulates the volume of blood. Besides, the liver also governs dredging and dispersing, thus smoothing the activity of qi to promote blood circulation. The factor that directly acts on blood circulation is qi. For example, heart-qi propels blood to circulate; lung-qi assists the heart to propel blood circulation; spleen-qi commands blood; and liver-qi regulates the circulation of blood by dredging and dispersing qi. If heart-qi is insufficient, blood will become too weak to circulate; if lung-qi is insufficient, there will be no opportunity for blood to disperse; if spleen-qi is insufficient, it will be difficult for the spleen to command blood; if liver-qi fails to dredge, it will lead to stagnation of qi and stasis of blood. Besides, visceral yang also plays an important role in the circulation of blood. For example, deficiency of yang will inevitably cause deficiency of qi, making it difficult for blood to circulate; deficiency of yin will bring on cold and exuberant cold will coagulate blood. Other factors that may affect blood circulation are the state of the vessels and the changes of cold and heat. Generally speaking, phlegm, dampness, blood stasis, swelling and nodules can block or compress the vessels and obstruct blood circulation. Blood is characterized by preference for warmth and aversion to cold. So excessive cold slows down the circulation of blood or even causes blood stasis; excessive heat accelerates blood circulation and even leads to bleeding in severe cases.